﻿﻿The Novotel Nice Centre is the conference hotel. 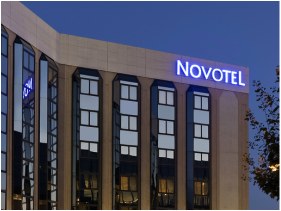 All accommodation requirements for the Novotel Nice should be made direct to the hotel. The following rates have been negotiated with the hotel for Conference delegates. Single occupancy bed and breakfast Euros 171.25 per room per night including buffet breakfast and city tax. Double occupancy bed and breakfast Euros 189.50 per room per night including buffet breakfast and city tax.